Sometimes you have to hold your hand up and say that you're not the right person to review a game. 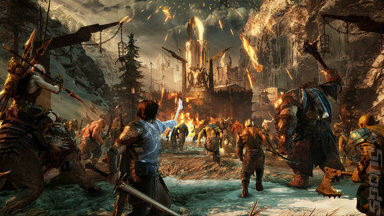 I didn't play Middle-earth: Shadow of Mordor, although a lot of people told me I should. In terms of themes, fantasy sits right at the bottom of what I'm interested in. Add The Lord of The Rings in and I'm completely turned off. But people were insistent that this wasn't a run of the mill licensed title. 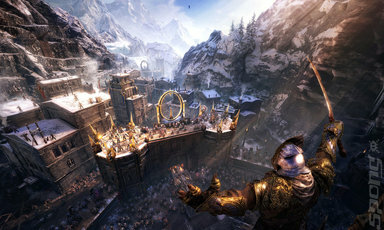 The open-world action adventure stood up on its own right and introduced an interesting hook with its Nemesis System. I was more intrigued than I ever thought I would be, but by the time the chatter had died down I'd already moved on and wasn't really prepared to look back. Then, out of the blue SPOnG contacted me and asked me to review the sequel Middle-earth: [i]Shadow of War[/i]. I like to play games that I'm not usually accustomed to. Dark Souls proved to me that I can dip my foot into the world of dragons and swords and actually quite like it. So I was prepared to give Shadow of War a go. Three days later I'd contacted SPOnG and said I wasn't the right man for the job. That's not to say I wasn't enjoying what I was playing, it's more that I had wildly underestimated how much the source material was being used. This isn't a game that's had a license slapped onto it, it's one that has clearly been built for fans and left me feeling like I was missing out on a huge part of what its trying to do. The final nail in the coffin was when I was talking to a friend about the opening hour or so. "So I'm this guy who has this ghost living in him or something and I've just spoken to this spider woman and this town is under attack. People keep saying I'm dead and talking to me in what appears to be a different language." What followed was five minutes of speech without a breath being taken, as I was told about the characters I had mentioned, their back story and why they are acting the way they are. I didn't understand a word of it. In terms of story, setting and characters this game clearly isn't aimed at someone who doesn't know the difference between an ork and an ogre. So the decision was made to have me write about Shadow of War as someone who can't play it in the context it was intended. Would I still get something out of it? One things for sure, I wasn't prepared to stop playing. 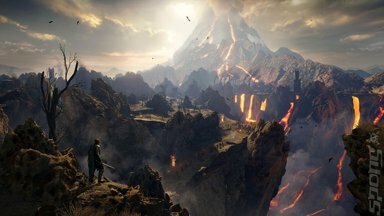 Stripping away the cutscenes (I started to skip them after a while), the inane Dungeons and Dragons babble (this sentence will definitely get me killed) and Golum running about the place talking like a bellend (I don't even know if me telling you he's in the game is a spoiler or not) at the heart of Shadow of War is an open world game that tries everything it can to keep things fun. This isn't the first of its type. Games like Saints Row and Crackdown took what open world games did and tried to speed things up a little. Instead of slowly climbing hills or buildings you volt up them with superhuman jumps. Gone were the cover-based gun fights, replaced with the feeling of overwhelming power allowing you to strut about the place without having to worry about dying too much. All of this is here, but it feels as though Shadow of War does even more to make sure you don't get bored. The world you're given doesn't feel too big but it's absolutely crammed with enemies. Skipping across rooftops allows you to bypass most of the combat but there's always a fight just around the corner if you fancy one. Collectibles are everywhere and there are missions aplenty, but it manages to avoid the Ubisoft pitfall of overwhelming the player with icons and waypoints from the get-go. Instead it kind of lets you just get on with things. Missions are hidden away in menus and can be activated when you'e ready for them to be. If you fancy just going off and doing your own thing for a bit then you're free to do so. That's the attitude that initially roped me into Shadow of War. The first objective that grabbed my attention was of course taking down the captains and having my first taste of the Nemesis System. I was surprised by a couple of things. The first being just how many captains there were and the second being how deep the whole system is. Captains are everywhere. I got into a battle with one intentionally but during my fight two others showed up, each with their own intro scene. It felt like I was playing Royal Rumble on No Mercy more than a Lord of the Rings game. The tonal shift with this part of the game is pretty drastic. 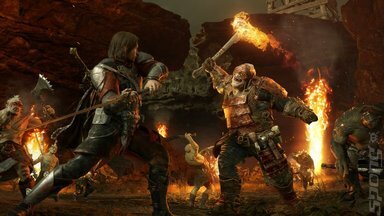 While much of your time with Shadow of War is spent listening to gruff voices telling you how bad everything is and how much worse it's going to get, Captain-hunting can raise a fair few smiles with unique characters blurting out ludicrous death threats.